1.26 MB, 1920x1080px, 7.5 secs. 33.12 MB, 1920x1080px, 7.5 secs. 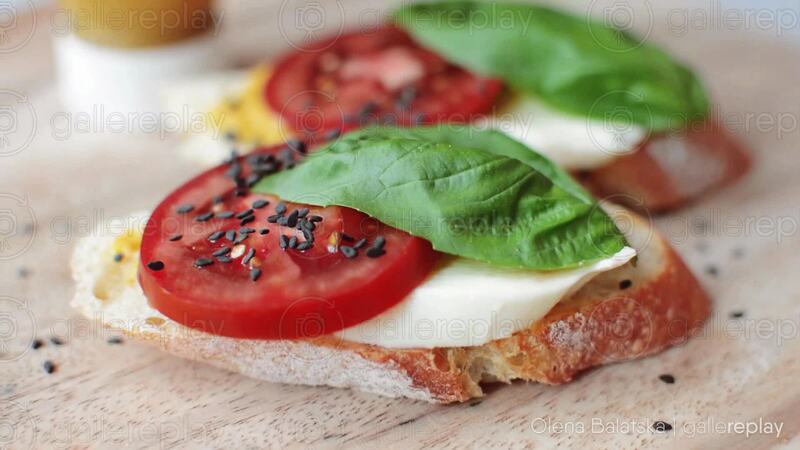 Black sesame seeds are poured onto bruschetta with tomatoes, mozarella and basil.